Hashtags are awesome! They are free advertising. Each hashtag, when carefully selected, is a door to an awesome community. Thanks to hashtags other people can find you, follow you and engage with you on Instagram. But how do you actually find the best hashtags for your Instagram photo? 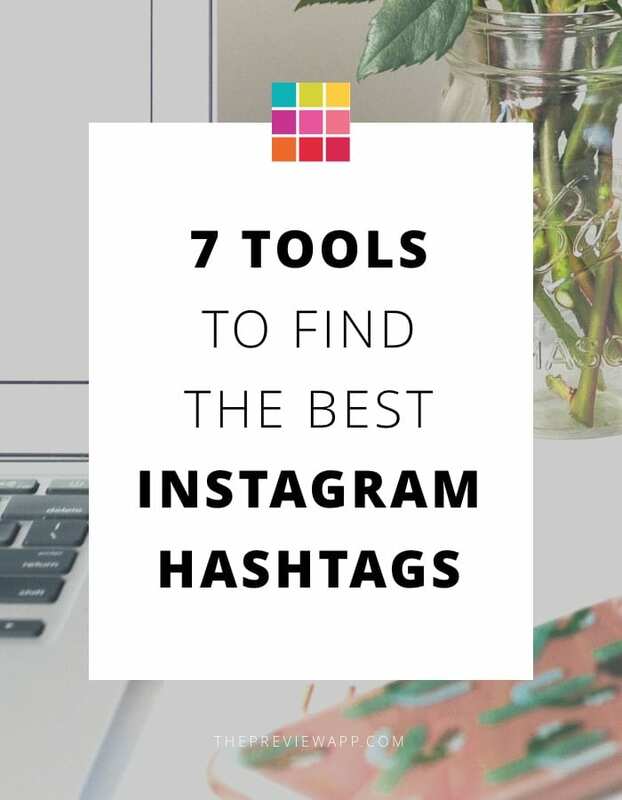 Here are 6 ways to find Instagram hashtags. 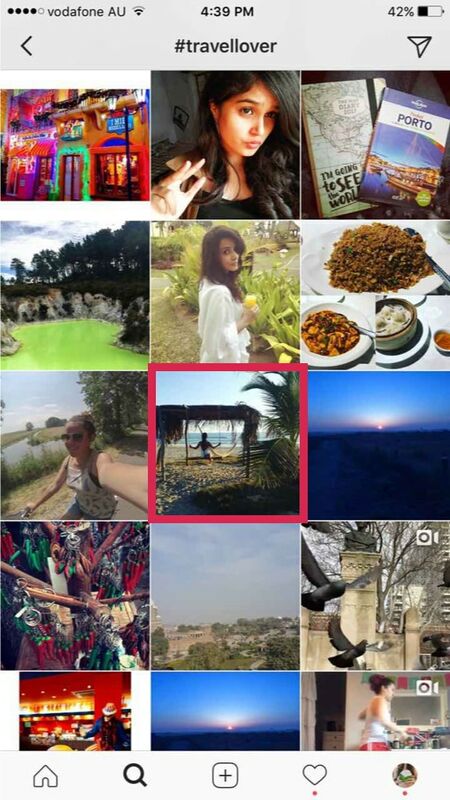 Preview app is a life-saver for Instagrammers. 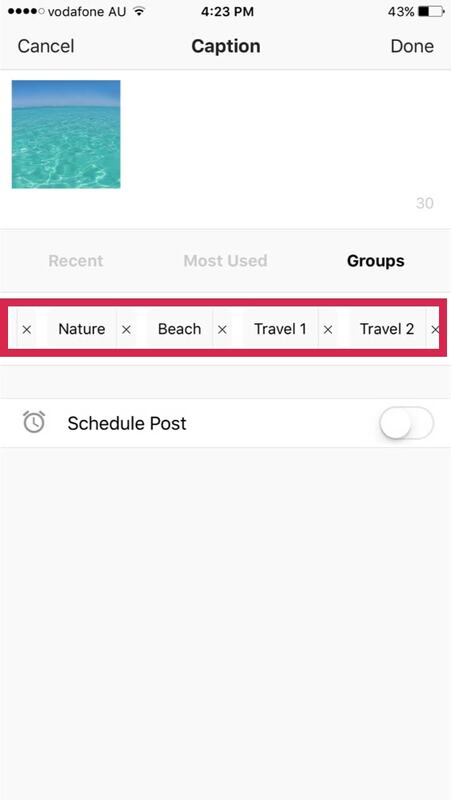 Not only can you design and schedule your Instagram feed, but you can also find Instagram hashtags by category. The app comes with a Hashtag Finder. 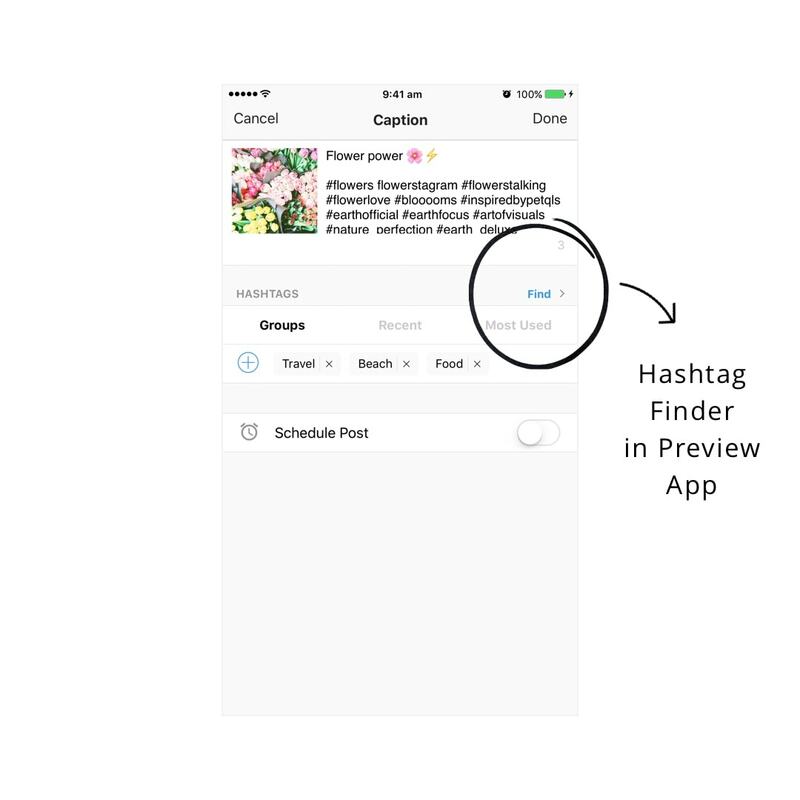 You can search hashtags by topics, Instagram communities and locations. They’re perfect to grow your account naturally. Preview app also comes with a hashtag analytics section. The app automatically tests the hashtags you’ve used. 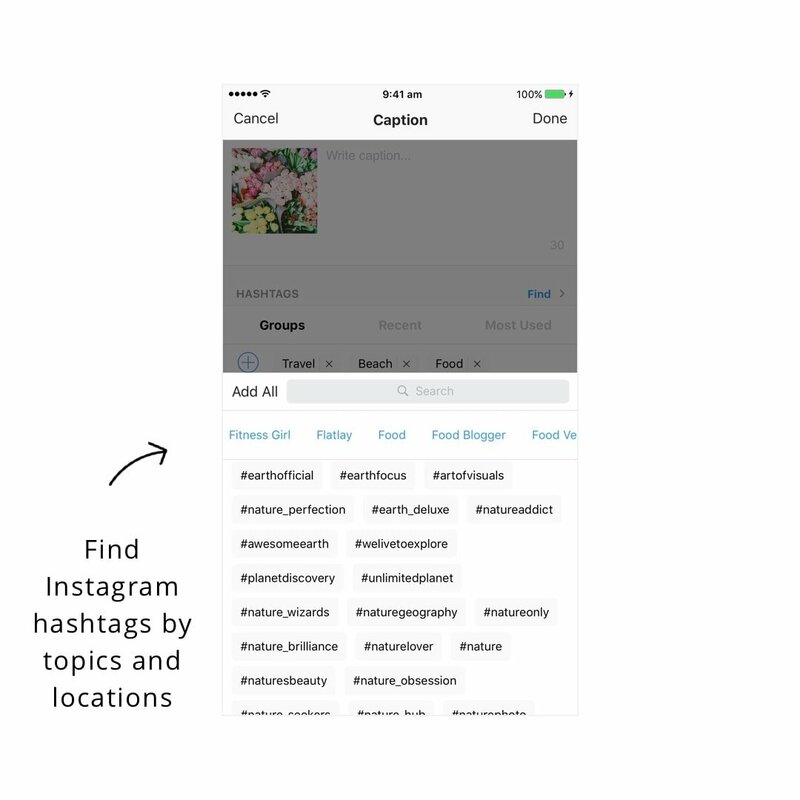 This way you will find a nice mix of Instagram hashtags. The accounts don’t need to be super popular with huge number of followers. 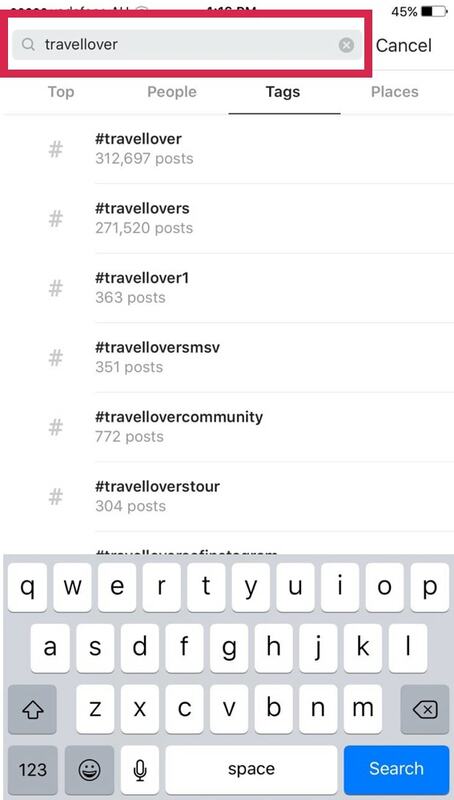 The “Related” Instagram hashtags are hashtags that Instagram recommends. They appear on top of your search results (see below). If they are relevant to you, write them down. In my opinion, the best way to find Instagram hashtags is by checking what people are actually liking on Instagram… so they can like my posts too. Who do I want to become friends with? What do they “like” / “double tap” on Instagram? What are they looking for on Instagram? 1. Who do I want to become friends with? People who are single? In a relationship? Have a family? 2. What do they “like” / “double tap” on Instagram? Once you know you who want to become friends with, follow a few of them. 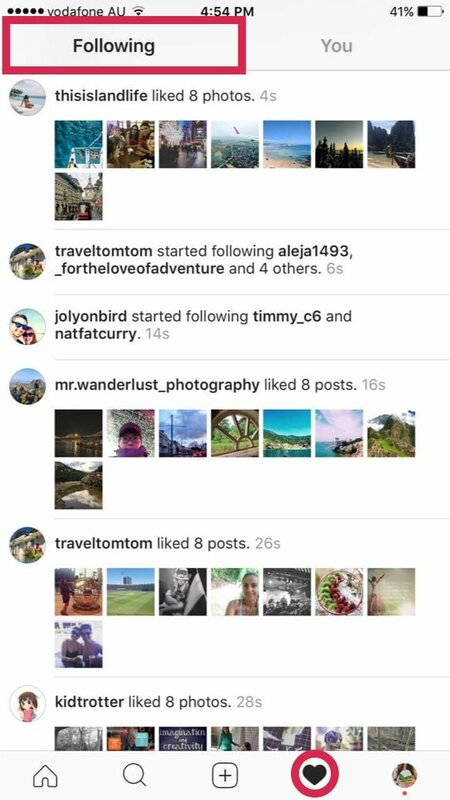 Now go do to your “Recent Activities” section (the “heart” symbol on Instagram) + swipe to the “Following” tab. Check what type of content people are liking. 3. What are they looking for on Instagram? Now you know what type of content they like. Are they looking for travel deals? Travel tips? Inspiring photos? 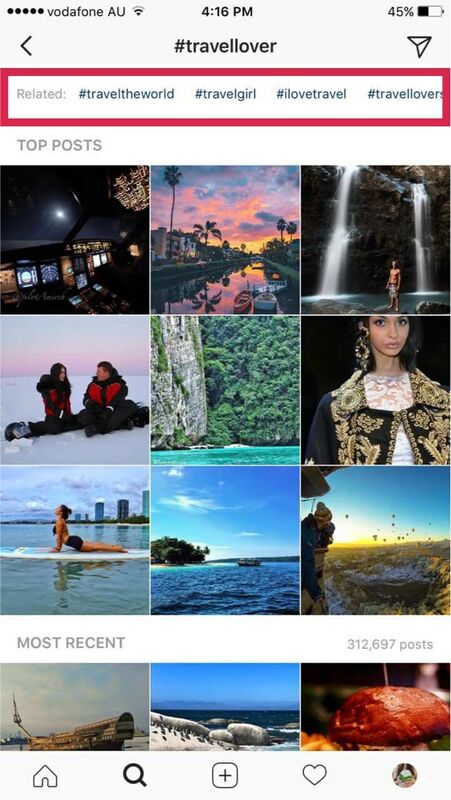 Create similar type of content for your Instagram. Assess which one of your past posts people liked the most (and do more of that). Another way to find Instagram hashtag is in Preview app again. When you prepare your caption and write hashtags in Preview app, you will see automatic hashtag suggestions. Pro tip #1: Use super popular hashtags (with millions of users) and less popular hashtags (with not many users). This will increase your chance to be seen on Instagram. Pro tip #2: Search for plurals. Some hashtags that are plurals have less competition. Which means more chances to be seen by people. Plurals also often represent a community. 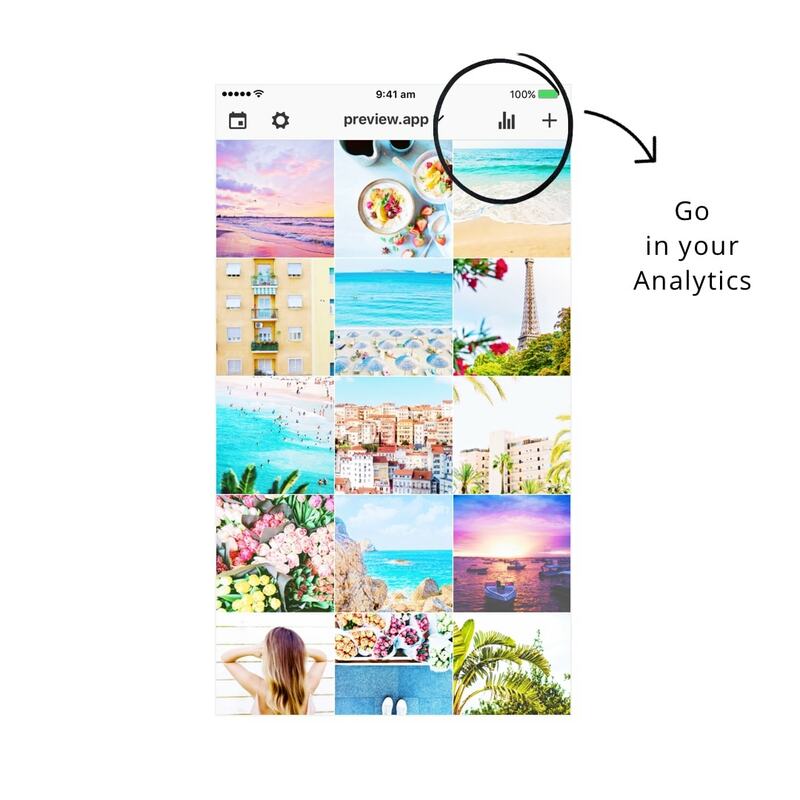 #beach has over 131 million posts. This means that there is a LOT of competition. It will be hard to be seen if I only use this hashtag. 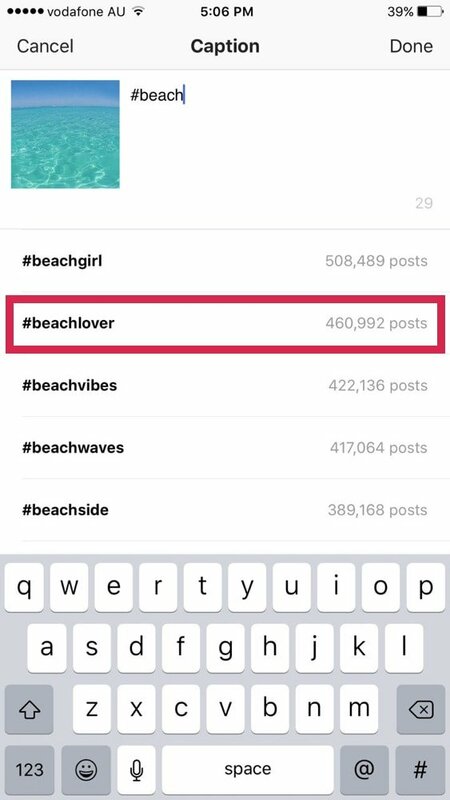 #beachlover has around 460,000 posts. There is less competition. I have a chance to be seen by people who actually love the beach. #beachlovers has around 270,000 posts. There is even less competition. Therefore higher chances to be seen. Two-word hashtags are more descriptive than a one word hashtag. For example: #beach is too general. And there is a lot of competition. On the other hand, like we have just seen, #beachlover is more descriptive, represents a community and has less competition. Specialize: instead of #photographer, use #weddingphotographer. Probably one of my favorite features in Preview app: saving our own hashtag groups. I highly encourage you to create a bunch of hashtag groups. Create multiple groups for the same category. Name each group “Beach 1”, “Beach 2”, “Beach 3”. All of these groups are about the beach, but they include different hashtags. 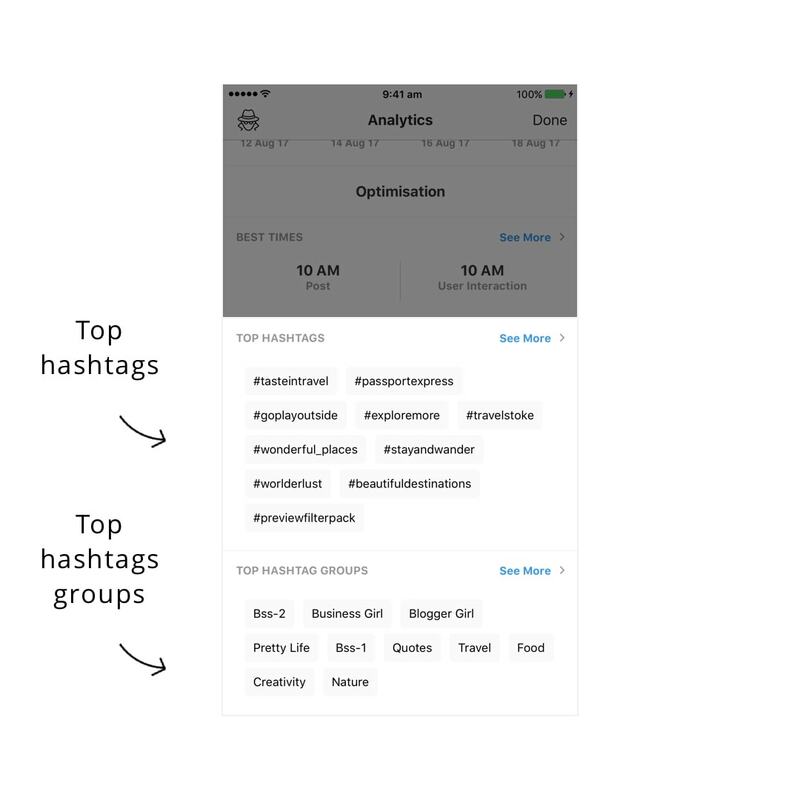 After you post on Instagram, assess which hashtag group(s) works the best. Delete hashtag groups that don’t perform well for you. Edit hashtag groups to add or remove some hashtags. You need to know what hashtags work the best for YOU. Don’t always use the same hashtags. Otherwise the same people will see you. And maybe they are not the right kind of people you want to attract after all. Always try different hashtag groups. See which one gives you more likes & comments. Find similar accounts as you + check their hashtags. Use the “Related” hashtags that the same type of accounts use for themselves. Know what your audience likes: Check the “Following” tab. Tap on a photo & check the hashtags. 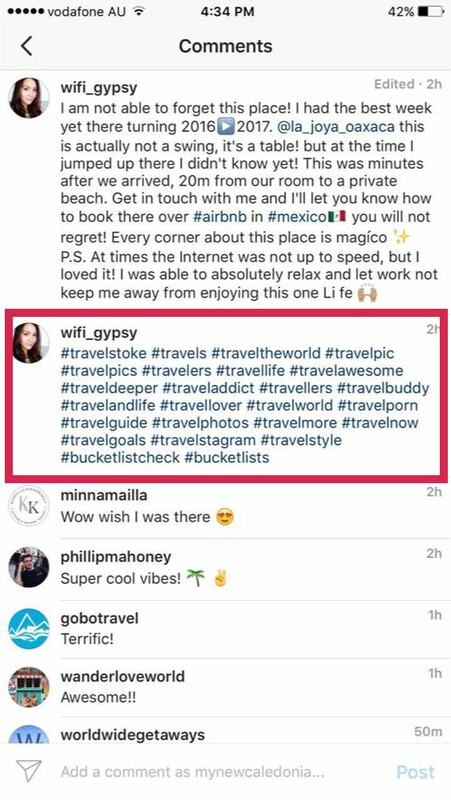 Don’t always use the same hashtags: To find the attract the right people to your Instagram feed.